“Intelligence plus character—that is the goal of true education.” These words, spoken by Martin Luther King, Jr. over a half century ago, underscore MPA’s mission to teach students to think independently, act with respect and integrity, and to find joy in their learning. By challenging students to take risks and push themselves now, in a safe environment, we hope to foster a lifelong habit of ethical, active citizenship, as well as give students the confidence to navigate unknown opportunities and challenges. The Middle School program builds on the foundation of the Lower School CHAMP program. Since we believe that informal, ongoing messaging, practice, and reinforcement are the most critical aspects of this work, we use common language and maintain consistently high expectations throughout our middle school community. Our program is individualized and relevant to our unique student body, thereby fostering student ownership and compelling students to dream big and do right. 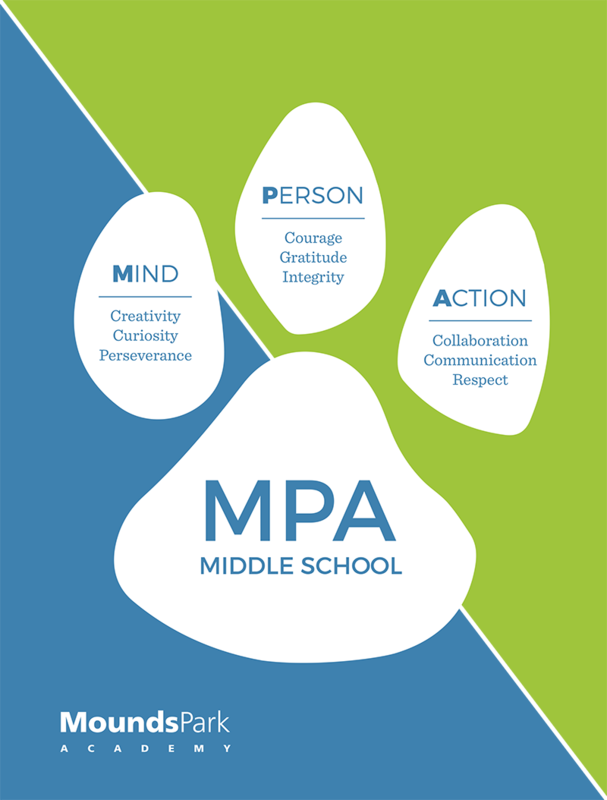 All Middle School students attend monthly character education assemblies, participate in small group discussions in advisory and other classes, and engage in self-reflection exercises and goal-setting activities. Students build an ePortfolio in which they place artifacts that demonstrate their growth and accomplishments in the nine pillars, and eighth grade students work with faculty mentors to shape a presentation that showcases their character strengths and reflects on their challenges. The upper school peer leaders also focus on these qualities during their monthly meetings with seventh and eighth grade students. There are several things that you can do to help support your child’s non-cognitive skills development during these critical years, starting with keeping the lines of communication open. Frequent, deep conversations are critically important. Share your own strengths and challenges, give examples of times that you struggled, how you handled the situation, and what you learned from it. Demonstrate courage, respect, and empathy through your actions. Foster resiliency and grit by allowing your child to fail; if you always sweep in to save the day, your child may not learn how to overcome obstacles, how to be self-reliant and to advocate for him- or herself, nor develop a growth mindset. Encourage your student to try new things, interact with new people, and to get out of his or her comfort zone. If you hear or see something unkind, say something; if you don’t, you may be implying that it is okay. Finally, celebrate successes and growth in these areas just as you would a grade on a test or a goal in soccer. Creativity requires both thinking and producing. We are all creative; however, research shows that creativity is domain-specific. This implies that students need to develop strong skills and content knowledge in many different areas for maximum success. Be comfortable living in the gray area. Do not seek perfection in all things. Creativity can be learned. It requires practice with experimenting, questioning assumptions, and synthesizing information. Students need to understand that innovators often fail many times before finding success; perseverance is key. We define curiosity as some who is intrinsically motivated (pursues opportunities for independent learning) and who loves to learn (is eager to explore new things and willing to ask questions). Be OK with messiness and imperfection. The journey is often more important than the final product. If your child naturally "gets lost" in a topic or exploration, let him/her. Focus on learning, not grades. Encourage play: How else might we manipulate the items or the information? See learning as fun. Expose your child to as many different environments, writers, experiences, etc. as possible. This will naturally prompt them to ask questions, which is critical. Keep an open mind. Don't label something as boring - in doing so, you cut off possibilities. It is OK to fail sometimes. This is hard for parents, because we tend to want to swoop in and make everything OK for our children. It is important to remember that everyone experiences failure at times, and that students will not learn how to work through these situations without practice. Middle school is a great time to learn this. Talk about your own setbacks, how you handled them, and what you learned from these experiences. Encourage independence. If your child asks for help on an assignment, ask them questions (ex: Did you check Schoology? Did you ask the teacher and/or a friend for help? How have you handled something similar in the past? What is the first step? etc.) rather than providing the answer. Praise sustained effort and incremental progress, rather than intelligence or skill. Help your child see the big picture. Failing a test does not mean you are stupid, it means that you have not learned these particular concepts yet. “Grit: The Power of Passion and Perseverance” by Angela Duckworth. Go here for one of her TED talks. Discuss you and your student’s personal fears, emphasizing that everyone has them. Then, talk about strategies for overcoming these obstacles by identifying specific situations in which they are likely to occur. Encourage your child to be themselves and to take positive risks that benefit themselves or others. Share your own experiences of following your heart and demonstrating moral courage, rather than following the crowd or caving in to peer pressure. Remind your student that it is better to try something and risk doing poorly, rather than not trying at all. Help your child identify their acts of courage, and praise him or her accordingly. Make a point of thanking your child for an act of kindness, no matter how small, and encourage them to do the same for others. Take a moment each day to ask your student what they are thankful for, and to recognize the talents and contributions of others. You may also want to encourage your child to keep a gratitude journal (or e-journal). Discuss ways that your student and/or your family could get involved in your local community in a meaningful way, and challenge yourselves to give your time on behalf of others in the new year. Success is different for everyone. Grades do not define who you are; your words and actions do. Some students have voiced that they would rather cheat than have their parents get upset by a low grade. Emphasize that honesty is more important, and that the joy that accompanies studying and learning is part of the goal. Students have often heard to “do the right thing when no one is looking,” but it is also important to discuss how to do the right thing when it means going against the group or calling out a peer. Share some of your own stories, and encourage them to practice their Green Dot Bystander Intervention Strategies (Distract, Delegate, or Direct). No one is perfect. Encourage your student to take ownership of missteps. Remind your student to use technology appropriately, including thinking before they text/post (“Would I be OK if my grandmother saw this?”), asking for permission before taking and posting photos, not typing something that they would not say in person, and safeguarding private information. Creating a Culture of Integrity in the Classroom: Includes tips for parents. In middle school, students are required to go beyond cooperation, sharing, and fairness and recognize and consider multiple perspectives, negotiate differences with friends, make decisions, and work toward shared goals. The shift from cooperation to collaboration, from groups to teams, requires guidance and purposeful modeling from teachers and parents. Talk about ways that you collaborate with others in your daily life, whether at work, in the community, or in your family. Many students prefer to work alone on projects, and it is important for them to both learn how to be an effective team member and to understand the benefits that derive from successful collaboration. Remind them that while we cannot be good at everything, we can find people with complementary skills. Ask them about a recent time when they found it difficult to collaborate, and brainstorm ideas for how to make that a more successful experience. Good communicators understand that listening is just as important as speaking. If your child blurts out or interrupt others, gently address the behavior when it happens. Model and expect active listening. Put cell phones away, make eye contact, ask clarifying questions, and acknowledge differences of opinion in a constructive way. Online communication, including emails to adults, is just as important as other forms of written and oral communication, and students need to take care when crafting messages. This is also a great time to remind your student about being careful with social media posts, and about safeguarding their digital footprint. Remind students to take care of themselves (show self-respect). Help them to understand when their ideas are valid and when to ask for help. Encourage them to exercise, eat well, and make time for friends, family, and themselves. Don’t talk about other people behind their backs, and never stereotype others. Call out this behavior when you see/hear it, and discuss alternatives. Think about how you want to be treated. Listen carefully, encourage and respect the abilities and opinions of others, be helpful, and remember to say thank you. The Language of Respect: Walking our talk with teenagers, by Dr. Marilyn Price-Mitchell. 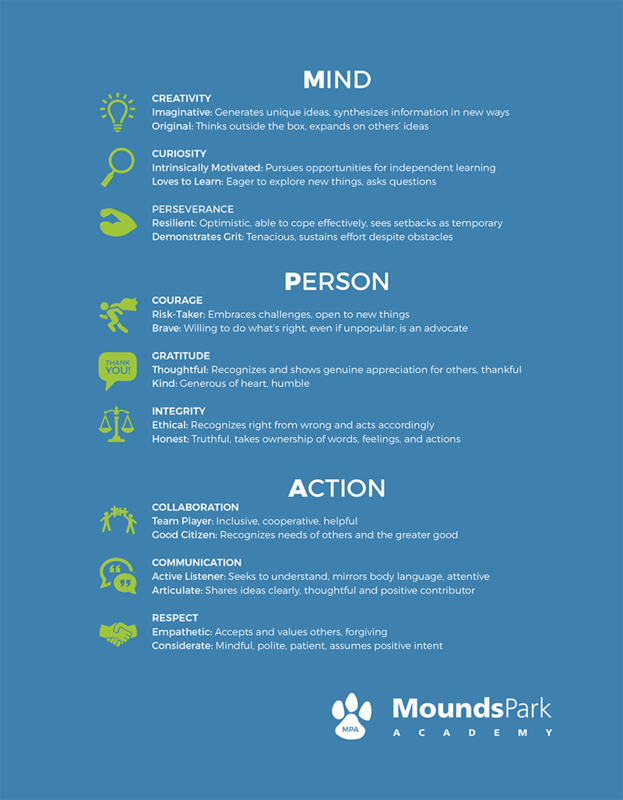 35 Activities Your Students Can Do To Learn Respect, by Dr. Michele Borba, author of Building Moral Intelligence: The Seven Essential Virtues that Teach Kids to Do the Right Thing. Do Your Kids Respect You? 9 Ways to Change Their Attitude, by Janet Lehman, MSW, from Empowering Parents.